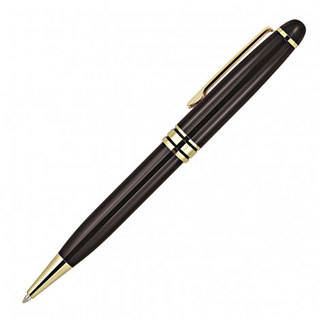 You'll be sure to impress with our Classical Metal Mechanical Pencil in black with gold trim. The classy metal barrel is reassuringly weighty in the hand and can be printed or stylishly laser engraved in gold with your promotional logo to either cap or barrel. This twist action, retractable mechanical pencil is a promotional pencil that brings classical style. HB 0.5mm pencil.